My youngest son is four years old and last night was only the third night he has been away from home. It's so weird having no kids in the house, but they are all at my mom's. It's Saturday morning, and I'm having chocolate cake and ginger ale for breakfast because I can. 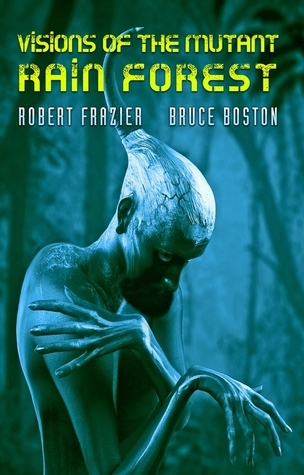 Visions of the Mutant Rain Forest by Robert Frazier, Bruce Boston - For over 20 years Robert Frazier and Bruce Boston have been writing stories and poems set in the Mutant Rain Forest. Most of these stories/poems have appeared in magazines and anthologies but two stories and five poems are original to this collection. "In the mutant rain forest it’s adapt or be redacted." I'm excited to explore these stories as they will all be new to me. 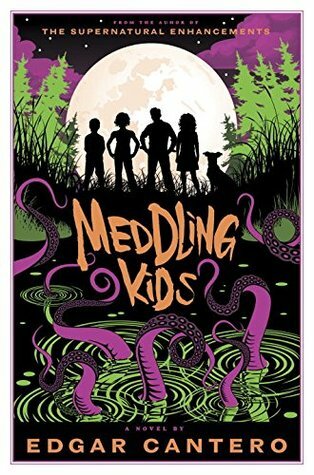 Meddling Kids by Edgar Cantero - I just discovered Meddling Kids this past week, but it has jumped to one of my most anticipated reads of this year. I'm going to let this blurb right here speak for itself "The surviving members of a forgotten teenage detective club (and their dog) must reunite as broken adults to finally solve the terrifying case that ruined them all and sent the wrong man to prison. Scooby Doo and the gang never had to do this!" Ouuu Six Wakes seems interesting - I'll have to check it out! If you like scifi and mysteries, it's a great pick. I read a Yardley book a few years back called Nameless(I think?). She is someone I should check back with, I recall enjoying it. And Six Wakes is getting great reviews. 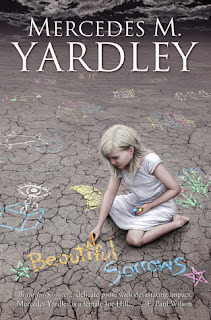 I think I own a copy of Nameless, but this is the first Yardley I have read. I need to read more from her as well. Awesome books. Some of the books are new to me. I hope you love all of your new books. Sounds like a great haul! They all look very interesting, hope you enjoy reading them! I remember those rare child free mornings. I hope your son did okay on his night away. Enjoy all of your new books! It was a nice, weird morning. :) He did great. Thanks! LOL because you can. Yup savor those times. 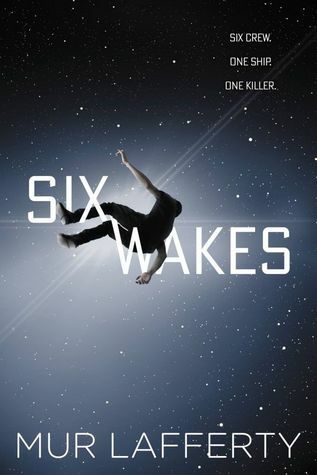 :) I just finished Six Wakes and was quite impressed. Meddling Kids? Looks fun! :D I look forward to your thoughts on Six Wakes. Cake and ginger ale for breakfast sounds like a good idea! Right?! Grown up Scooby Doo kids? I'm so there!! Oh man I could use a child free morning and I think chocolate cake and ginger ale sounds like a mighty fine breakfast :) Have a great week! I love that you had chocolate cake for breakfast! Awesome! Have a great week! Sometimes you have to live on the edge. :) Thanks! I love your breakfast! :) I have Meddling Kids to review it does sound like a good one! Hope we both end up enjoying it! :) I'm glad you are reading Meddling Kids, too, Stormi! I have a great feeling about it. Happy birthday to your son! Cake for breakfast sounds good to me! 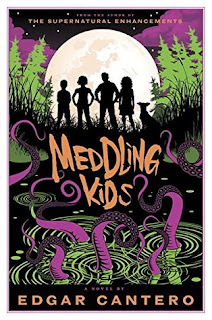 Meddling Kids sounds really good and I added it to my TBR. I hope you have a great week! I love cake for breakfast! It's one of the best things about being an adult, lol. Meddling Kids sounds like it could be really good! I loved Scooby Doo as a kid, and I always wondered what would happen if they got it wrong. Haha. One of the great privileges of being an adult! I really can't wait to read Meddling Kids. Meddling Kids does sound good. I'll have to look for a copy. Come see my week here. Happy reading! I hope you have a great week, Kathy! I can't wait to read your thoughts on the Mutant Rain Forest. That cover is just calling out to me. I'm looking forward to reading it. For some reason, the poems are really calling to me. It will probably be my next read this week. PS My kids are young adults now but we still rejoice whenever we get the house to ourselves which isn't often. Enjoy it! :D It's weird without the kids around. So quiet... Haha. Interesting books. Enjoy! Have a great week! Lots of new to me titles here - I'll have to look into them. Have a great week!